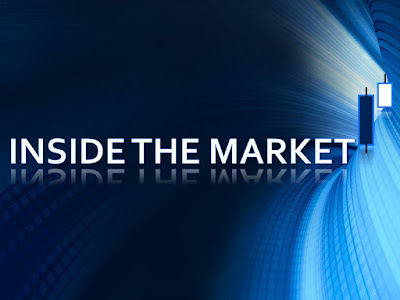 Inside The Market: COVER 50 S.p.A. : a good firm with low visibility. COVER 50 S.p.A. : a good firm with low visibility. With regard to the FY 2016 results (consult the link http://www.cover50.it/wp-content/uploads/2017/04/cover-50-comunicato-stampa-130417.pdf), the business increases. The profitability is strong (from 12% to 48%, from the net income to the contribution margin). The cash is high and the cash generation, too (see the cash flow statement) : we speak about a net financial position of about 11.9 EUR millions. The financial structure is excellent with low dependence on debt ("the company mostly finances itself with equity") and the EBIT interest coverage is very good (aka EBIT/net financial charges). However, the growth rates are really tight. The business increases at a rate of 2% / 3%. The mono-product (the company specializes in the designing, manufacturing and selling men's as well as women's trousers, under the PT Pantaloni Torino brand name) and the high dependance on the domestic market (the revenues in italian market are still about 43% of the total revenues). To improve the business and the visibility (with positive effect on market prices), they should invest more (with a cash of 12 EUR millions, the growth throught M&A could be an opportunity). At the same time, the development to the high-potential markets should be greater (in particular, with a product differentiation). The subsidiary PT Corp in USA is an example (http://www.cover50.it/wp-content/uploads/2015/04/COMUNICATO-STAMPA-23-SETTEMBRE-2015-rev-BIM.pdf). As announced in the last press release, the yield is about 4.4% and the payout is about 71%. I would have preferred a reinvestment of the profits rather than a (good) shareholders remuneration, to finance the growth. In this sense, the higher growth attracts the visibility. Indeed, the market multiples could be cheaper compared to the peers (on average, fashion and luxury stocks have excessive valuations, due to the brand perception/visibility and due to the high profitability). The market probably discounts the lack of the visibility and of the liquidity, the lower size and the lower growth expectations (adjusted market multiples). About the chart and with regard to the last performance, we have a renewed interest of the investors : the volumes are increasing and the stock is out of the rectangle (accumulation area) with a stop in area 13.7 EUR. See the link https://twitter.com/michele_finance/status/773242796425768961/photo/1 and compare it with the current situation (the updated chart is below).